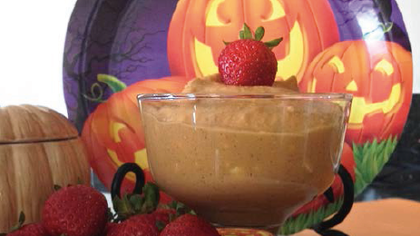 Get into the Halloween spirit with our seasonal recipe. This creamy and yummy dip can be served with chips or veggies! Place ingredients in a bowl and stir with a spoon until very smooth. Serve dip with a variety of RAW LIVE fruits and veggies and pita triangles or pretzels.